We monitor and informally assess children's progress on a daily basis as part of our policy of Assessment for Learning which ensures we set suitably challenging work for children of all abilities. These examinations take place twice a year during the Autumn and Summer Terms. 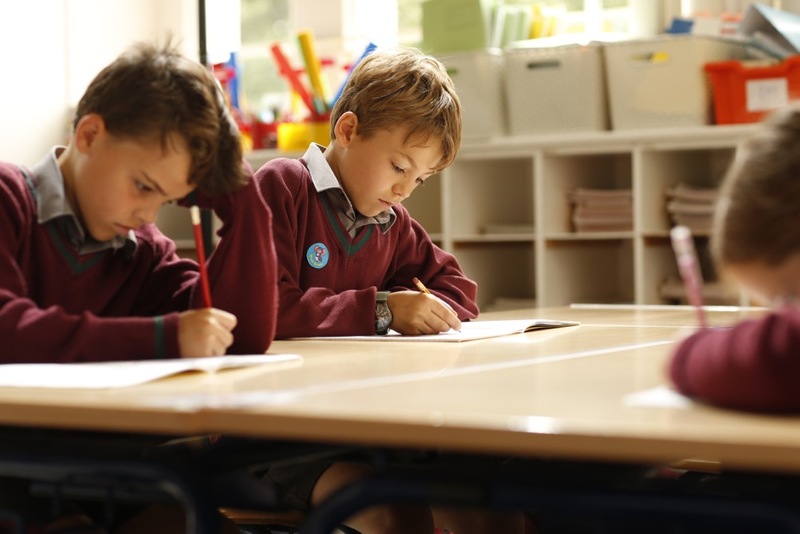 Children in Forms I - III (Years 3 - 5) are examined in the core subjects of English, Maths and Science in the Autumn Term and all academic subjects in the Summer Term. Children in Forms IV and V (Years 6 and 7) are examined in all academic subjects in the Autumn and Summer Terms. In Form VI (Year 8), the children sit their mock Common Entrance examinations in the Spring Term. Children are examined in English, Maths, Science, French, History, Geography and Religious Studies; the majority are also examined in Latin. Children taking academic scholarships have their mock exams in November and January. During the Autumn Term, children in Transition - Form VI (Years 2 - 8) take a series of standardised tests. These tests enable us to monitor their progress, highlight strengths and weaknesses and compare our children against national benchmarks. We assess children in Forms I – VI in all subjects every half term and we award effort grades on a scale of 1 - 7. In addition, children in Forms IV - VI (Years 6 - 8) are given an attainment grade from A to E which is based on Common Entrance criteria. Parents receive a report with a covering comment from the Form Tutor. Parents receive detailed reports covering all subjects at the end of the Autumn and Summer Terms and a Form Tutor's Report at the end of the Spring Term. Throughout the year we arrange a series of parents' meetings so that parents have the opportunity to discuss their children's progress with our teachers. In the Pre-Prep, parents meet with the Form Teacher; in the Junior and Senior Departments, parents meet with the Form Tutor during one term and subject specialist teachers in another term.